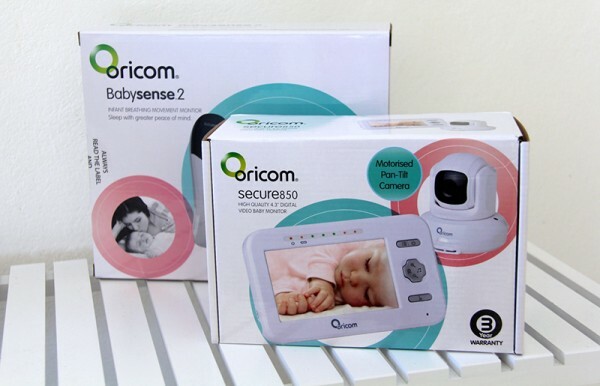 So I got to test our the Oricom Babysense2 breathing monitor as well as the video monitor. Lucky right? Yep. Truth is, I had a big love hate relationship with both and was actually really stoked to be able to give back my whole, honest opinion on both of them. Fact is – I loved them, and am now a breathing monitor nazi who turns it on even for Evies day naps. This is coming from the person who never used any sort of breathing device at all before, and just had the basic Oricom monitor to peek at her at a nighttime. Combined with my experience doing the Tiny Hearts First Aid course, and having this breathing monitor on her bed (which Tiny Hearts was very happy with, and totally endorse the use of any breathing monitor), I feel SO much safer and happier knowing how easily I can help protect Evie!! 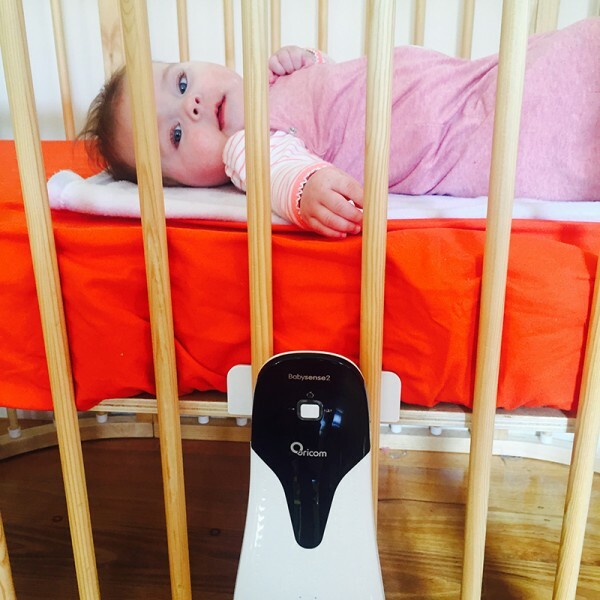 “Madelin from The Bean Bible is the last of our external reviewers to check out the Babysense2 and video monitor. After a few hiccups, like when she accidentally switched on the music in her four-month-old’s room, Madelin was up and running, ready to compare this model to her own, previous Oricom model. As mentioned, I didn’t like how bright the light on the monitor was and actually ended up covering it up with a few bibs and bandaids .. that thing is like a laser!! It gave Evie some restless nights. I also didn’t like the close proximity of the music button, and the microphone as cool as it was as a feature didn’t really stop Evie still wanting me to come in! The screen was huge, and I loved that – And the breathing device will live on through every nap, and every baby I have! All in all, it’s totally worth the cash and i’d definitely recommend it to others. And the smaller Oricom monitor I have now, is super amazing and has an even further range to walk around. You can read the entire review from others mums too here.